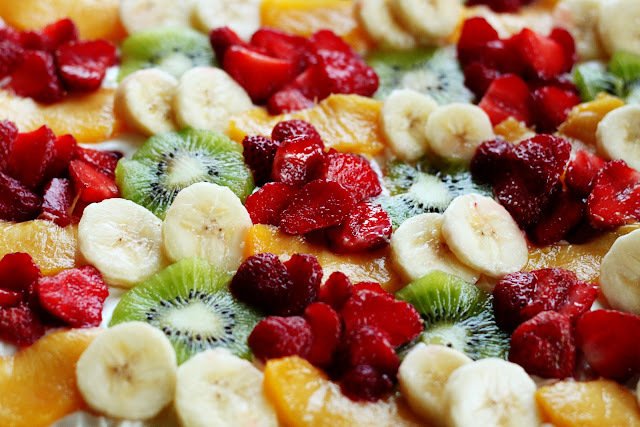 Mustard Me Yellow: Fruit Pizza. Ladies and gentlemen, I would like to share with you the most delicious RECIPE in all dessert history. This fruity, creamy, covered cookie will leave you happier than a fat kid with cake. Trust me. (I realize that fruit pizza is probably old news to most of you, but I am still obsessed).